Betzest Online Casino NZ Review - $5 Free Money Bonus! Betzest Casino is a new online casino, having only launched in 2018. In the competitive gambling industry, the casino looks to stand out from the crowd through their unusual offering of games and simple but effective design. 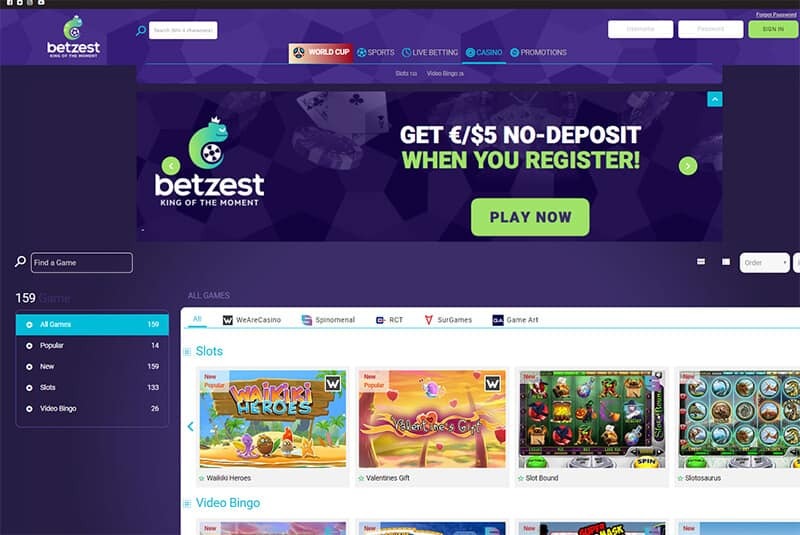 Betzest Casino is licensed and regulated by the Government of Curacao and apart from casino games the site also offers betting on sports and virtual sports. When you register a new account at Betzest you will be rewarded with $5 Free Money. Verify your account using your mobile number. Go to the Live Chat and ask support to credit your account with the $5 Free Money bonus. They will credit it instantly. There is a nice 100% up to $200 welcome bonus available to Kiwis registering for the first time at Betzest Casino. Your 100% casino bonus is credited instantly. The maximum amount you can withdraw from the $5 free money bonus is $100. The $5 Free Money bonus has to be wagered 50 times. The first deposit bonus has to be wagered 45 times the bonus amount. All free spins have 0 wagering requirements. Established in 2018, Betzest Casino has entered a market that’s already full of online casinos of all shapes and sizes. However, they have their appeal for New Zealand players, especially because of an interesting portfolio of pokies that you won’t find featured at many other casinos out there including some of the biggest names. The number and type of games available at an online casino are of the crucial importance for their overall success and appeal. Betzest Casino certainly has some work to do in this department. As of right now, they offer around 150 titles from a few providers and players only have access to slots and video bingo games. There are no video poker machines or table games. However, since they are a new casino, the number and the versatility of games on offer are likely to increase. Apart from the no deposit offer and the welcome bonus package, there are no mentions of a VIP program at Betzest Casino. This is probably another thing caused by them being new to the market and they’re likely to develop a full VIP program for their players in the near future. With this being one of the main selling points of online casinos these days, it’s unlikely the people behind Betzest would just let it slide.  The mobile site is still being developed at the time of writing this review. That said, there is no reason to believe Betzest mobile wouldn’t be able to replicate the desktop experience and give players full access to everything the casino has to offer. Their mobile site also gives insights into the future plans as there are quite a few game providers mentioned there that haven’t been implemented on the main site. Being a new site Betzest Casino certainly provides a very decent range of deposit and withdrawal methods. They accept the usual range of credit and debit cards (Visa and MasterCard) alongside several e-wallets like NETELLER, Skrill, Entropay, and even PayPal (from certain countries). If none of these methods work, there are alternatives such as Sofort, Boleto, Trustly, bank transfers, and Paysafecard. The minimum deposit amount with Betzest Casino is just $10, which makes it really accessible to all types of players. The final piece of the puzzle, the customer support department at an online casino is there to make sure things run smoothly and players are kept happy. At Betzest Casino, there is customer support available around the clock and you can reach them via live chat and email. Although it is too early to talk about effectiveness of their support team, initial experiences are certainly on the positive side. Licensed and regulated by ANTILLEPHONE N.V. under license number 8048/JAZ2017 – 064.